Another fresh product review I received from Mycare. 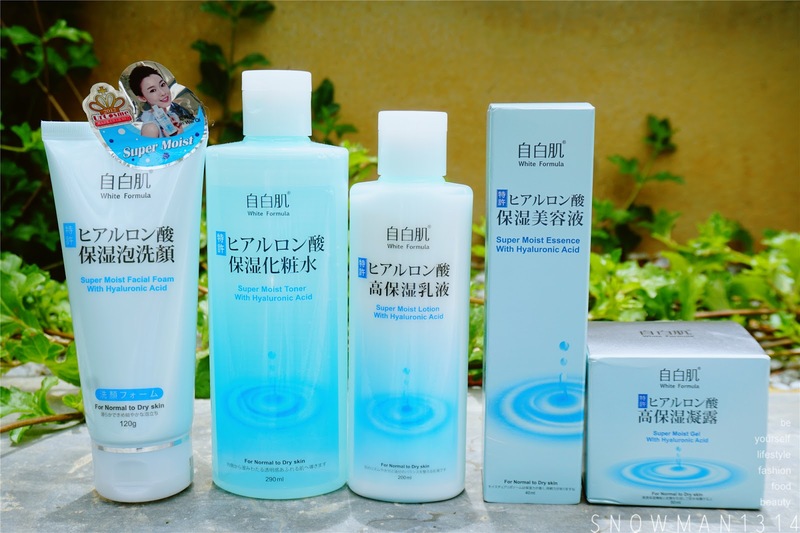 It's White Formula Moisturizing Hyaluronic Acid Range which all of the products in this series contains at least 3 types of Patented Hyaluronic to help Transmit, Replenish and Retain moisture of our face. I am a girl who really like moisture and hyaluronic acid skin care products. Because I love my skin being moisture for all the time. 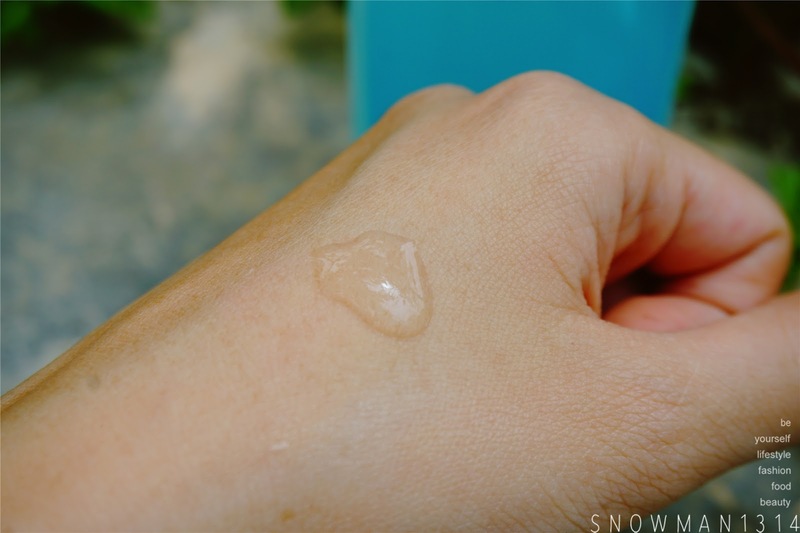 With the weather now in Malaysia, no matter you are in the outdoor or indoor, our skin tends to dry up and become oily. That's why it was very important to find the correct products that can help your skin to keep hydrated and moisture up to 24 hours per day. 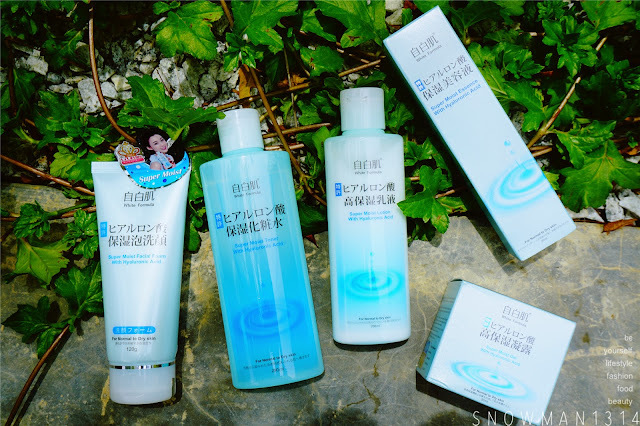 From the packaging, you can see that these products are very refreshing and moisturizing to use. Not only that these series product has been voted No.1 by Taiwan leading review platform from 2011 to 2014. 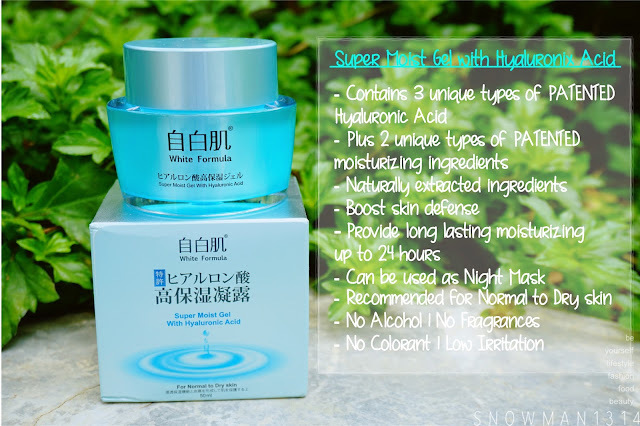 It made from PATENTED ingredients, Cosmetics surgery graded clinically ingredients from Japan that has been clinically tested. 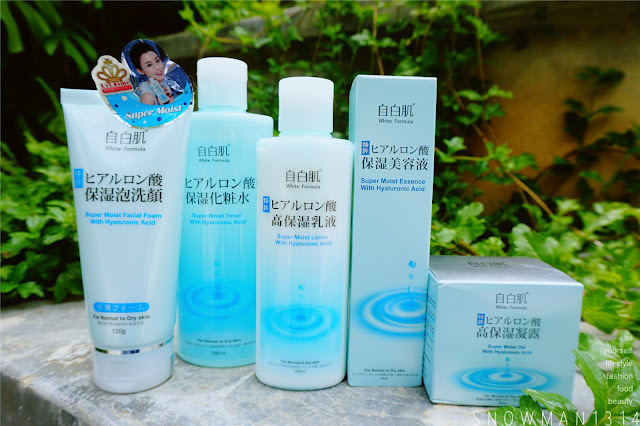 This product is suitable for all skin even for sensitive skin. When I first receive all these products, I really love its color. Since I am a blue girl, the packaging and the color of the products have already won over my heart. I just can't wait to share and try this product. All of the products contains No Alcohol, No Fragrances, No Colorant and Low Irritation. It was safe to use and even suitable for sensitive skin. 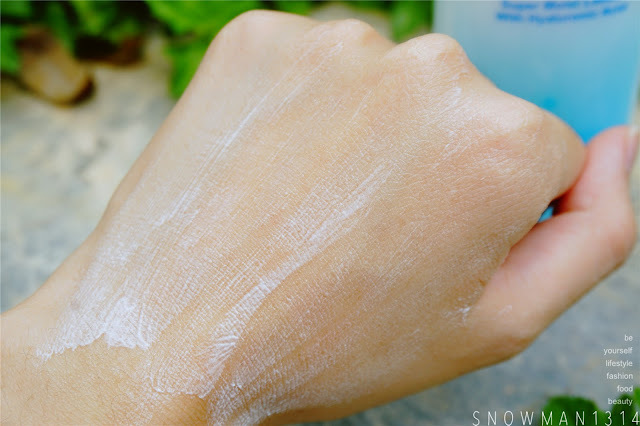 Let's start with Cleansing product, this is what we will do before applying skin care to our face. 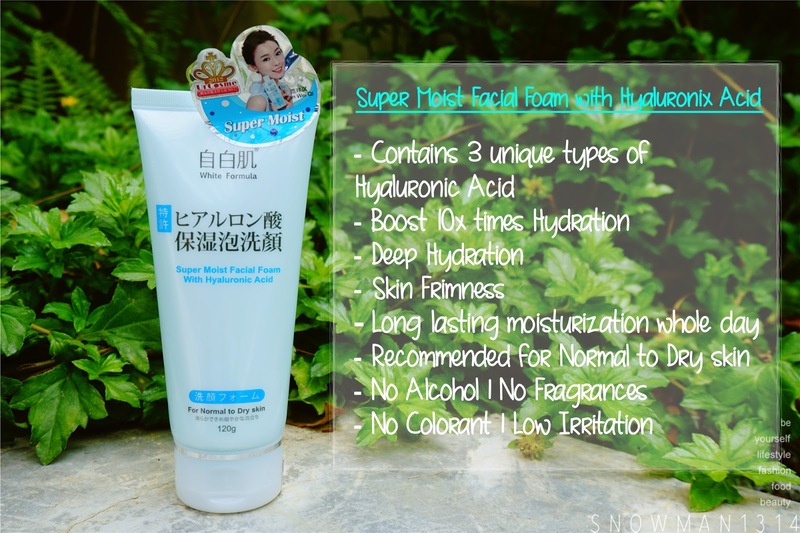 Cleanse your face with Super Moist Facial Foam with Hyaluronic Acid. The texture is super rich and contains with all the goodness of the product. You can see some bubble foam in it too. After use, it leaves my skin super refreshing and clean texture. I love facial foam wash. Direction to Use: Use twice a day. 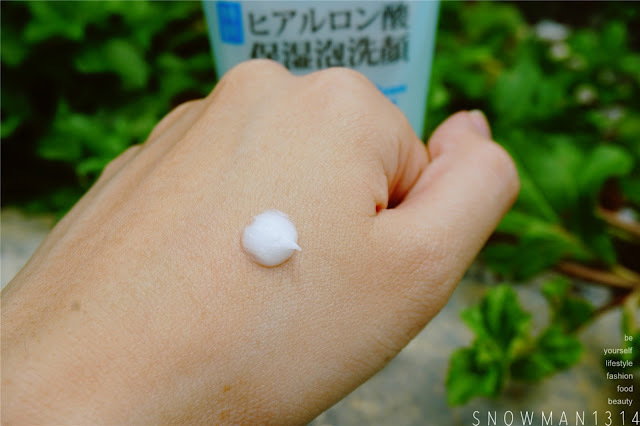 Apply 1cm to your palm and lather to foam before applying to wet face. Massage in a circular motion and rinse. After cleansing your face, next up is to use toner. The texture of the toner is really watery. Although it was just a toner but it was able to stimulate collagen regenerations. It also absorbs into my skin from the inside out. Directions to use: Apply evenly all over the face and neck after cleansing, twice a day. May use with Cotton Pad or without. Massage with a circular motion for faster absorption. Creamy and milky texture of the lotion. 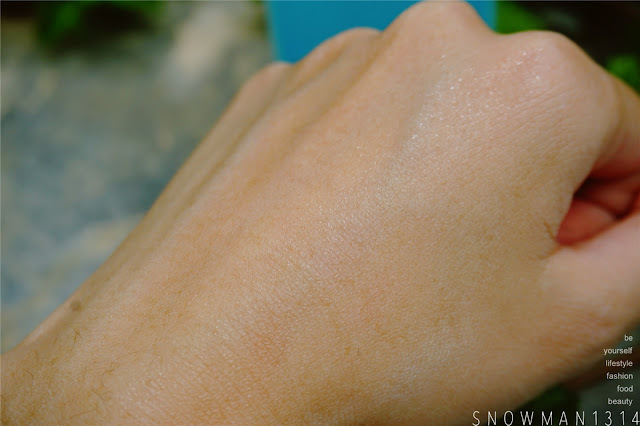 Although with a little amount of the lotion, with one swipe it can cover all over my hand. 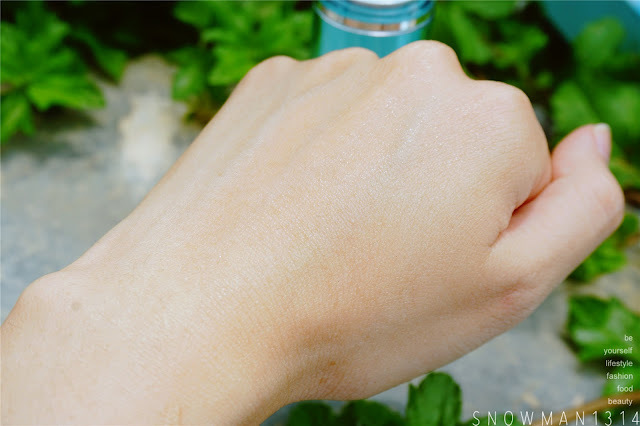 The texture of the product is really rich which you can see the lotion is still around with one swipe upon application. Gently massage and slowly let the lotion absorbs into your skin. 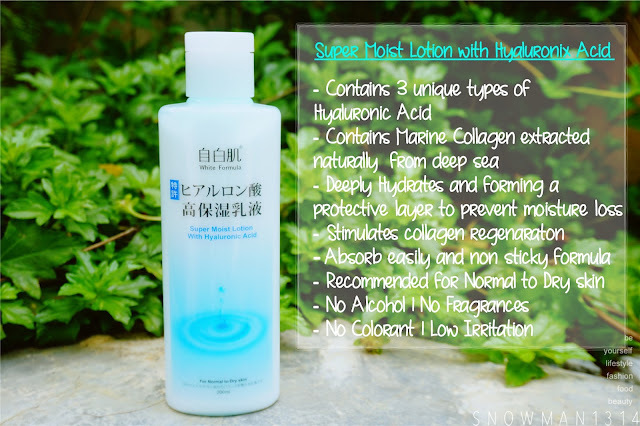 It deeply hydrates and forming a protective layer on your skin too. 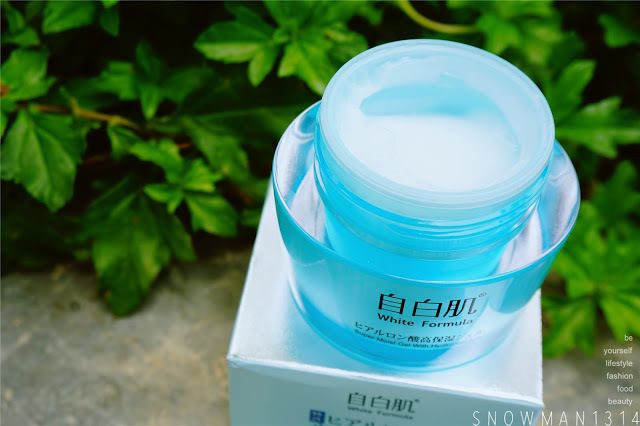 This product not only provides moisture to our skin but also contains Marine Collagen that extracts naturally from the deep sea which exhibits high water-binding property to help firms our skin. Although the texture is rich and creamy, but it leaves my skin a clean and non-sticky texture after apply. Direction to use: Apply evenly all over the face and neck after toner, twice a day. Massage in firm and smooth upwards motion for a better firming result. 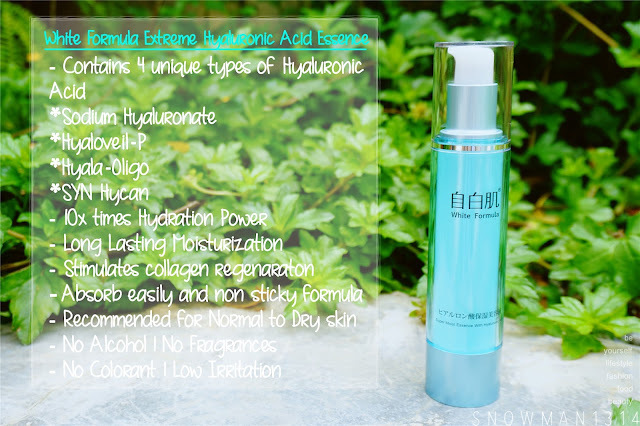 Unlike the other product in this series, this essence provides up to 4 unique types of Hyaluronic acid. Which it has more moisture, hydration power that our skin need. The essence is 10 times hydration power provides long-lasting moisturization for our skin. 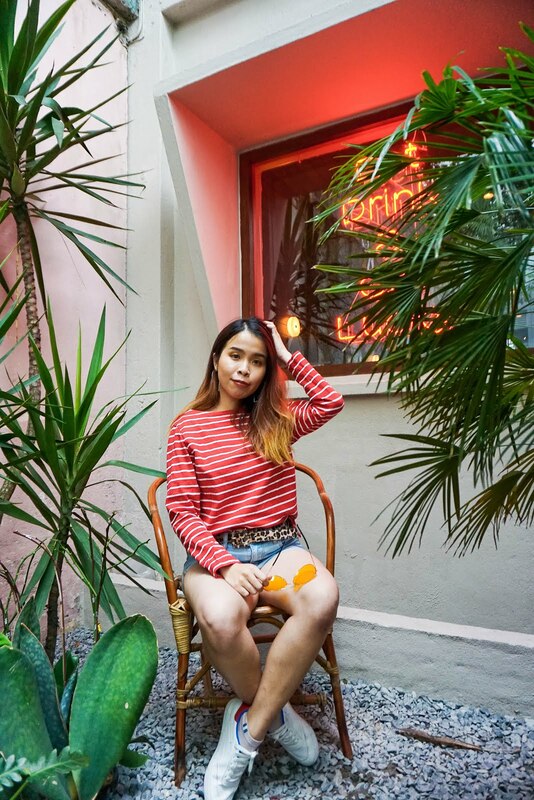 Leaving our skin moisture for the whole day. I love love the texture of the essence, the texture is super rich and moisturise. The leftover on the lid of the product. Transparent and gel type texture. This product consists naturally extracted ingredients that help boosts skin defense on dry weather. 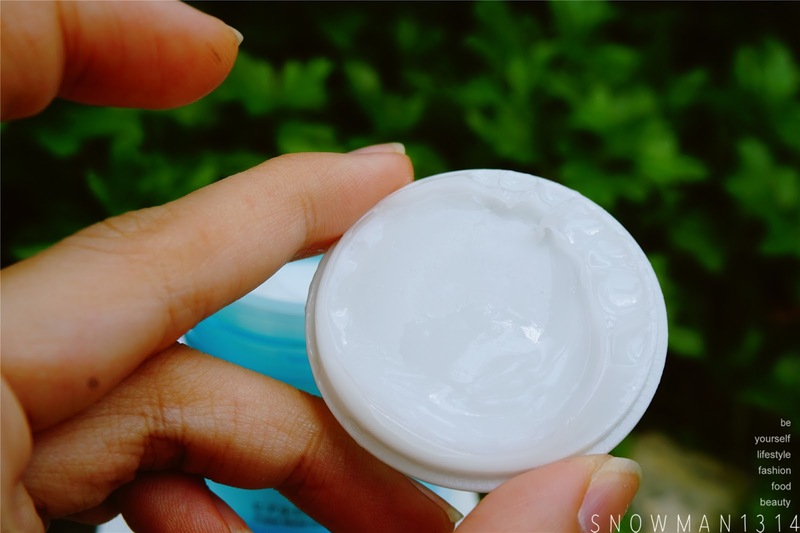 Can also provide up to 24 hours long-lasting moisturization! 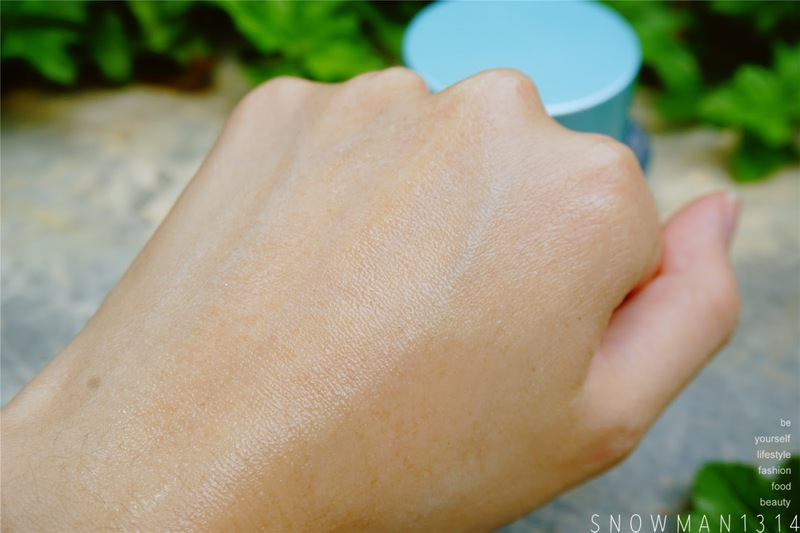 My hand after applying all the product from this series. 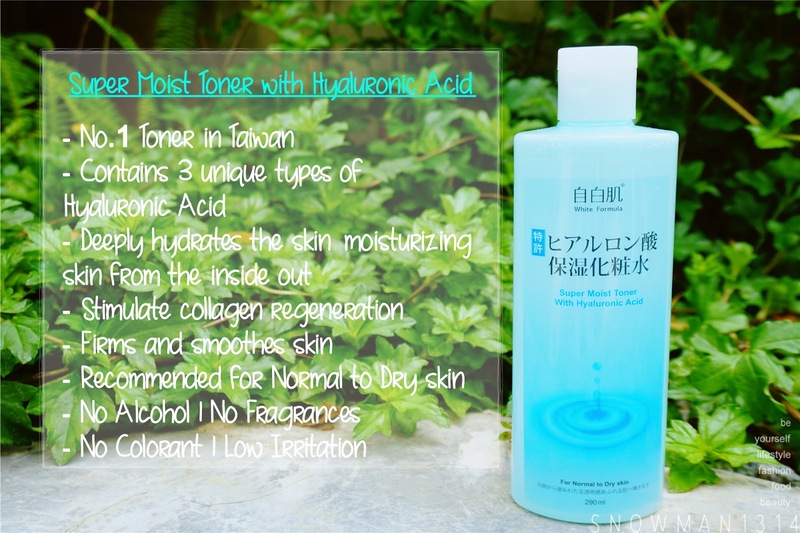 My skin feels so plump and hydrates after using White Formula Moisturizing Hyaluronic Acid Range. Direction to use: Apply evenly all over the face and neck after toner, twice a day. Massage in firm and smooth upwards motion. Overall experience using this product was really great! Like I have mentioned in the start of the post, I love and adore using skin care product that provides moisturization. Acne and Fine Line is caused by the dry surface of your skin. To prevent the formulation of Acne and Fine Line, we have to take care our skin from inside out. 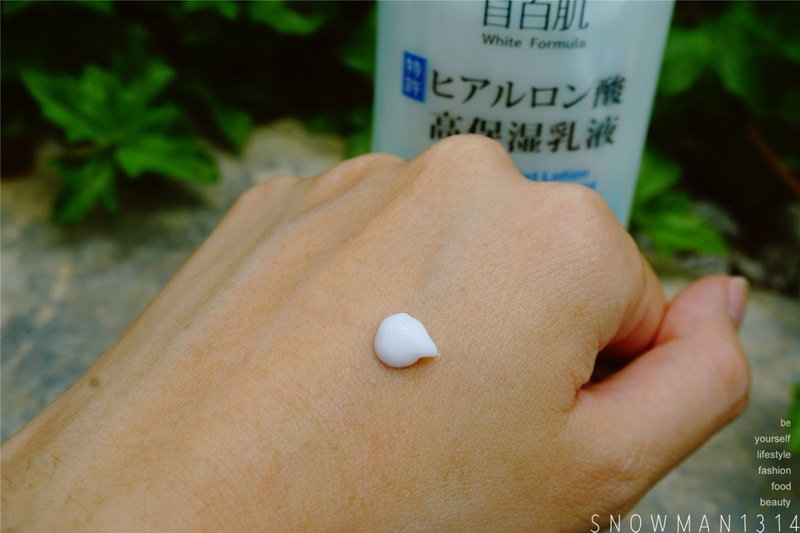 Using this White Formula Moisturizing Hyaluronic Acid Range help regenerates collagen and hydrates our skin. Although I haven't started using all of this range products, but I already have the feeling that I am definitely going to love this range! Join this Share Tag and Win contest at here too! 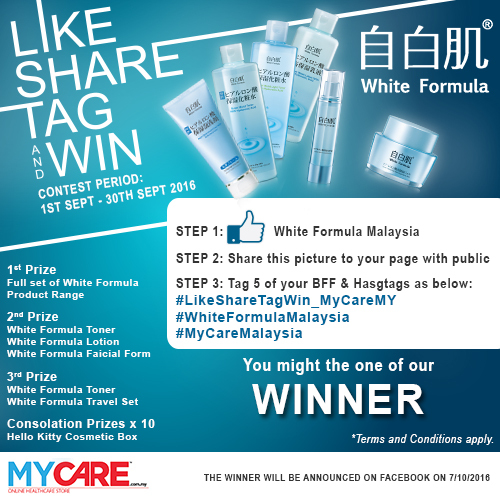 You will have the chance to win the full set of White Formula Product Range. Not only that, Cyber Sale is coming soon this September too! You can get 40% off when you shop during that period too. 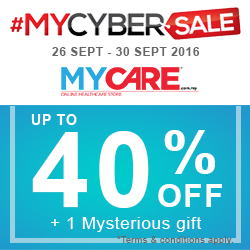 More info please visit Mycare Malaysia. I always love this brand! so Moisture!! I love products that moisturize well because of my dry skin too. Thanks for sharing! first time heard about this brand...looks so moisturizing!! Would like to try it out! Yes dear =) hehe! Faster go and get it! My skin a bit dry nowadays. I love the 24 hour protection which other brand could not give it to my skin. You are right that it is difficult to hide from the Malaysian humidity, whether indoor or outdoor! Thanks for recommending this new range of products. Never tried this product before. I like the sales. Been using it quite a period and I love it!! mycare.com.my? heading there right away boss! hydration is important and i think this product is good in helping us to keep a good looking skin! thanks for recommendation! At the end of it your skin looks really healthy and hydrated... two thumbs up! It looks quite affordable and not greasy at all to use, easily get absorbed. Moisturize and non sticky formula too! Yea and Don't forget to join their giveaway too! This brand is new to met but it looks very hydrating and gentle on the skin too. Haha no worries Hanniz =) Hope you manage to get it when its on sale! up to 40% off seems like a good deal especially if i want to try this out! 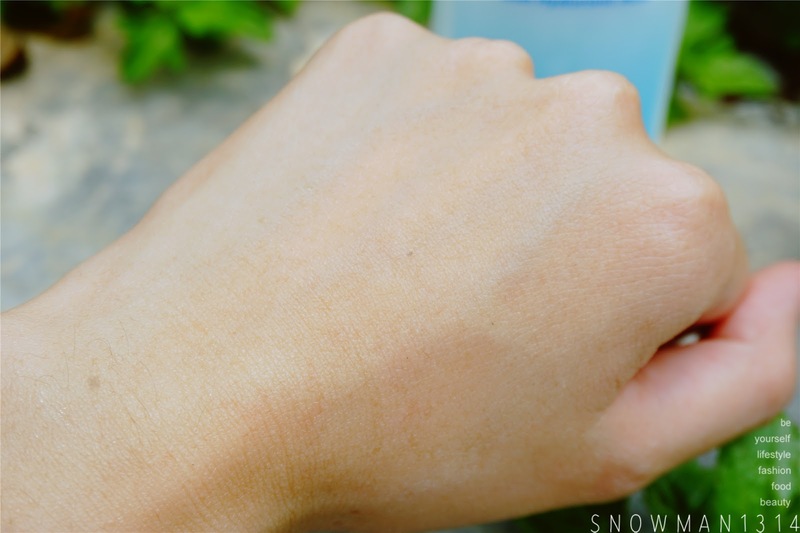 Love this review and how just applying on ur hand makes the skin look more hydrated and even tone. On another note, I duno why when I try to leave a comment but no one else comments appear yet, I can't find the button or box to add comments, hence apologies for this late comment!